Relax in air conditioned comfort as you cruise down the the Mighty Mississippi aboard a Spectacular Gateway Paddlewheeler. Enjoy a 2-hour cruise with a delicious buffet dinner of roast beef and chicken along with great live entertainment. 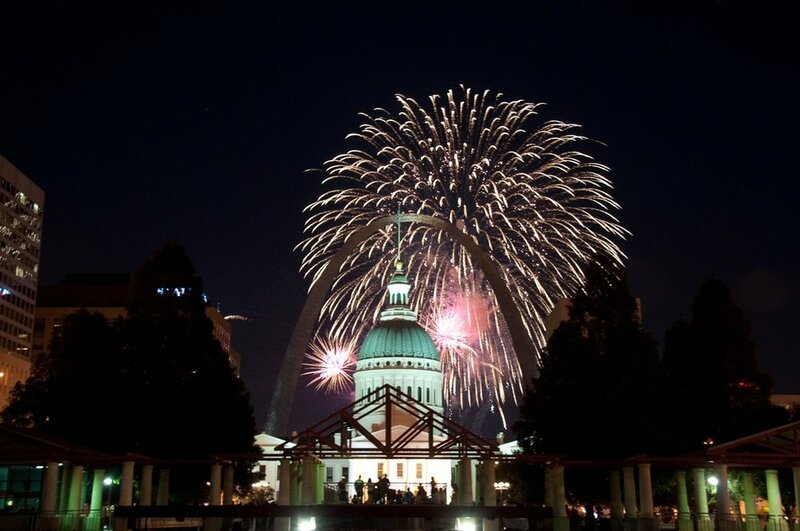 After docking you will remain in the boat for a Front Row Seat to watch the Electrifying St. Louis Fireworks. Good food, live Dixieland music, and a spectacular view - what better way to see the fireworks that from a boat on the river. **Fair St. Louis reserves the right to add in an air show resulting in the boat staying docked.